Six years ago, when Russia attacked Georgia and tore off the separatist regions of South Ossetia and Abkhazia, Western countries were, as always, "very concerned", sent out their observers, provided humanitarian support and Nocolas Sarozy, the then President of France, volunteered to mediate in settling the conflict. The war took place in mid-August, but as soon as September NATO said it wanted to normalize relations with Russia and, the following December, the NATO summit in Bucharest presented Georgia with a roadmap to membership. This year, Russia occupied and annexed the Crimean peninsula in Ukraine and sent its troops to other eastern regions of the country to support separatist rebels. This time, the Western concern exceeded the one during the Georgian crisis. The US and the European Union announced targeted sanctions against Russian officials, companies and banks. They have also extended financial and humanitarian help to Ukraine, albeit not military one. US political observer Zbigniew Brzezinski has suggested guidelines for a compromise between Russia and the West over Ukraine. These suggest ruling out any future possibility of Ukraine's membership in NATO, nor would it ever become a member of the Russian-led Eurasian Union, but could instead integrate into the EU. 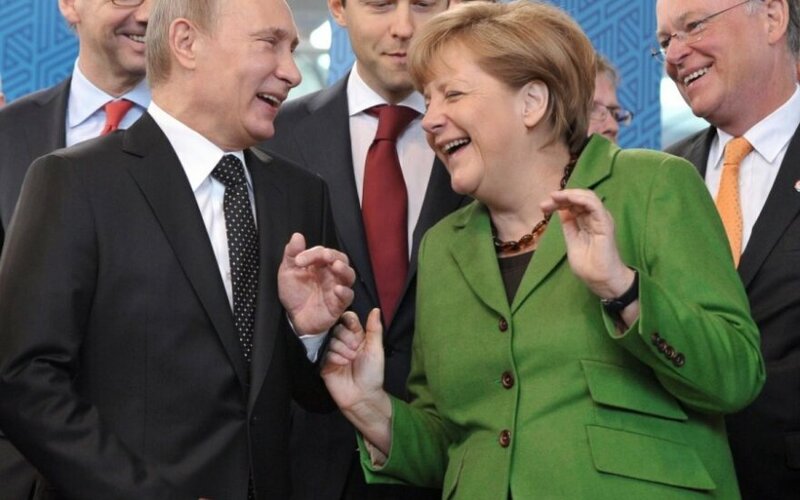 After all, Kiev itself is "reluctant" to join NATO. 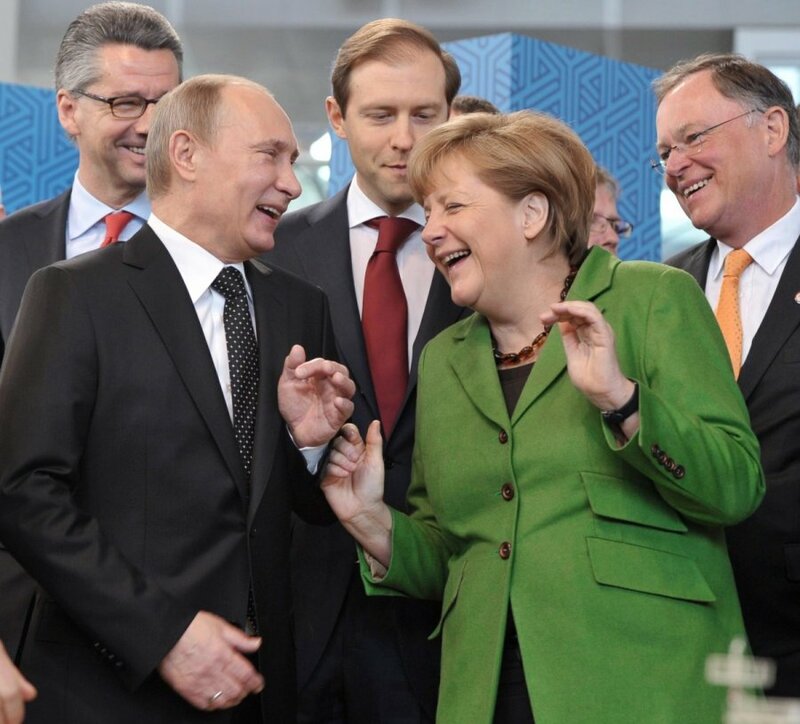 The two international crises showcase Russia's policy to surround its borders with buffer states, with little regard to their own will, while the West - the US and the EU - in an effort to avoid armed confrontation silently consent to it. The natural question to ask now, therefore, is when can we expect the Russia-West relations coming back to normal again? "There are no signs of the West and Russia making up yet, although there are countries who'd like that. I think the pressure for reconciliation can grow quickly, should Europe find itself even more strained economically. The problems do not necessarily have to result from the sanctions on Russia and Moscow's retaliation measures, but they will make it very easy to argue that sanctions must go and everything will be fine again," says political scientist Kęstutis Girnius of the International Relations and Political Science Institute at Vilnius University. He notes that economical interdependence is a factor pushing towards normalizing relations as well as Russia's prominent role in the international system. The country is a permanent member of the United Nations Security Council and other global players will, sooner or later, find themselves in need of Moscow's support. "Russia is, after all, an important state in the international system, she is a member in the UN Security Council and can veto any resolution, therefore her cooperation might be required in settling issues like Iran sanctions, anti-terrorism cooperation, etc. Even during the Cold War, when relations were very tense, the two sides maintained reserved relations," Girnius says. He adds, however, that the situation caused by Moscow's aggression against Ukraine is essentially different from the Russia-Georgia war, because, back then, almost all European leaders agreed that Georgia's then president Mikheil Saakashvili had given in to provocation and sent troops to separatist South Ossetia. The 2009 report, commissioned by the European Union and prepared by Swiss diplomat Heidi Tagliavini, concluded that Georgia violated international law and started the conflict. The report also conceded that Russia did much to provoke Georgia. "This time, the situation is different: Crimea is under occupation, the Russian army is sending troops to eastern Ukraine, which poses a more serious threat to the international order established after World War Two. 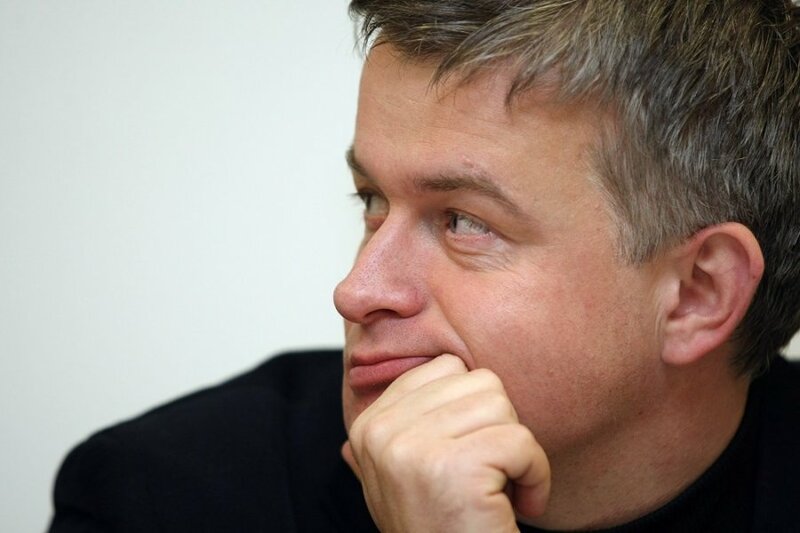 Therefore Russia is regarded much more suspiciously than after the 2008 events," Girnius thinks. He adds, however, more and more people in the West think that one needs not punish Russia, but rather help Ukraine. "In other words, the argument is that there's no need for a continuing stand-off with Russia and resources must be used instead for rebuilding Ukraine, ensuring her financial stability. I believe this could be effective." 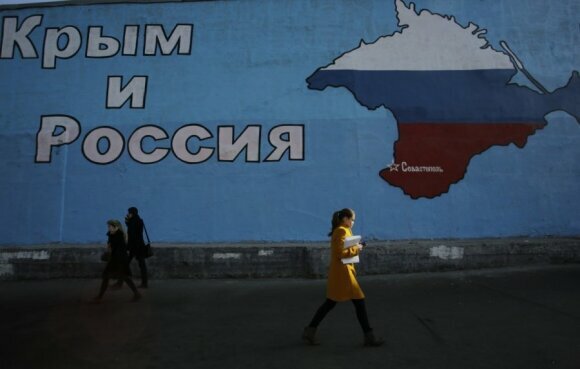 Crimea to remain in Russia? Girnius notes that it is Central European countries that are most enthusiastic about renewing dialogue with Russia: Hungary, Slovakia, partly Bulgaria. "These countries are most eager to make up. It's rather counter-intuitive and unexpected, since it was thought that Central and Eastern Europe still remembered the Soviet times and were therefore more suspicious of Russia," he says. Italy and Spain would also agree to a détente, according to Girnius, since their security concerns are different. "Their greatest challenges come not from the east, but from the south. Namely, destabilization after the Arab Spring which triggered massive migration. They think that the European Union should not focus solely on the east, since danger from the south is just as big, albeit more subtle and less dramatic." Girnius thinks that the US and Europe will cooperate with Russia in areas that suit them, but remain reserved for a while. The western media, he says, is already discussing the option of Crimea remaining in Russia's hands for an extended period of time. "The situation is not unlike Lithuania's occupation. Lithuania was considered de jure occupied, but, de facto, there was little protest. Same here: American diplomats will refrain from going to Crimea, but will accept the status quo," Girnius says. Another important issue to settle is how to respond to situation in east Ukraine territories held by pro-Russia separatists. "Some say they [Ukrainians] need to take them back, others claim it will be difficult, since Russia seems determined to continue sending military forces, so there have been calls to freeze the conflict to give Ukraine time to rebuild the country, increase welfare, hoping that, in fifteen years or so, it will be a prospering country and separatist regions will want back," Girnius speculates. Have Western countries accepted the status of Ukraine as a buffer state between Europe and Russia? The Lithuanian political scientist quotes the view shared by many observers: Ukraine might be integrated into the EU in the future, but will never become a NATO member. "Many influential figures hold this view," says Girnius, recalling Finland's example during the Cold War - the Nordic country could not join NATO and, for some time, the EU, but was nonetheless a prospering country. Finland joined the EU in 1995, but is still not in NATO, even though Helsinki closely cooperates with the alliance and regularly sends soldiers to NATO missions. Professor Šarūnas Liekis of Vytautas Magnus University thinks that rapprochement between Russia and the West will be a slow process, although there are factions in Europe that would very much prefer to forget the Crimea annexation and conflicts in Donetsk and Luhansk. According to Liekis, the outcome will depend on how strategic European politicians are in their thinking. "International order has been disrupted, it's being consistently uprooted by one state. So the question here is how are we going to react to this?" he reasons. Liekis says Russia is not even trying to hide her intentions: Moscow is consistently increasing its military budget, modernising the armed forces, beefing up it "hard power". In other words, Russia is sticking to power as defined in classic Realpolitik terms, whereas the West is using different guidelines, preferring trade to war. According to Stockholm International Peace Research Institute, Russia's military budget in 2013 was equivalent to 4.1 percent of its GDP, while that of the United States, 3.8 percent. In monetary terms, Russia spent USD 87.8bn on defence, the US, 640bn. Observers note that members of Russia's ruling elite think of international politics as a zero sum game. According to this reasoning, there cannot be a situation where everyone wins. By definition, victory of one side means defeat for the other, and vice versa. Russia's leadership therefore seeks gains for themselves and humiliation for the West - in their view, one cannot go without the other. Meanwhile Europe prefers the win-win type situations, finding an outcome that maximises benefits for all international actors so that there are no losers and therefore revisionists. According to Liekis, this mental discrepancy results in a situation as if a basketball team were playing a match with a football team: rules of the game are different, so are actions, and there is little chance of any constructive results. "Western countries shun realistic power politics in the Realpolitik sense. If that proves to be a long-term trend, it will be bad. 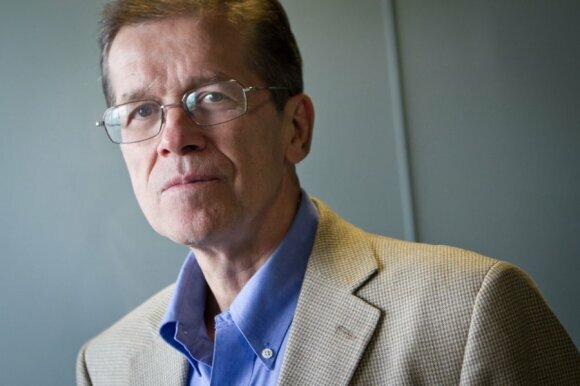 The next step of aggression might be in Finland, Latvia or Lithuania," Liekis believes. "In Central and Eastern Europe, though, we should return to power politics, since the region has a power vacuum, readily exploited by Russia," he adds. To his mind, the game changer would be permanent NATO bases rather than regular exercises. The latter, he thinks, are merely therapeutic. Liekis says that Europe is currently under a two-tier security shield: Western European countries are better protected than NATO members in Central and Eastern Europe. "We keep referring to Article Five, but the only time it was invoked was to defend the United States after 9/11. So the Article's effectiveness depends on concrete actions of individual states. Under current circumstances, we can only bet everything on the US keeping its obligations," Professor Liekis says.